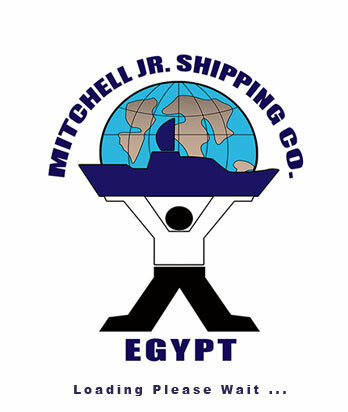 Mitchell JR. Company was established in 1915 in order to support commercial vessels calling on the Egyptian Ports and we continue to provide the same service today. We are dealing now with Commercial Vessels, Navy Vessels, Cargo operations (Loading – Discharging), off-shore projects and many other services. Being Logistics management is the part of supply chain management that plans, implements, and controls the efficient, effective forward, and reverse flow and storage of goods, services, and related information between the point of origin and the point of consumption in order to meet customer's requirements. Therefore, our company has a private section for logistics run by some efficient and high qualified staff who rcvd many specialized courses made them able to face and find solutions to any emergencies, and to analyze current situation and offer adequate suggestions for future aiming at rendering the best services to our clients. First of all, we enjoy good and strong relations with port authorities who facilitate many things like quick berthing, loading and discharging facilities, avoiding ships any problems during their stay at the ports though 24 hours full boarding from our representative to offer any help which may require and facilitate job task through high level contacts with concerned parties. We used to send lineup to ships owners / operators of the current situation of ships at the port to warn them in case of any congestions at the port and to keep them fully updated with developments in ships movements as well as keep them advised of the berthing prospects. We used to follow ships ETA in continuous way to avoid arrival of competitor’s ships that may occupy the berth, under the rule, first arrive first to berth. We do our best to rationalize the ships expenses and reducing the same as well as avoiding any penalties which may be charged against the ships by port authority for any reasons. We help ships to pass successfully the hold inspection through offering useful info to ships masters. We used to keep ships owners / operators of daily report of ship's situation and daily qty either for ships loading or discharging. 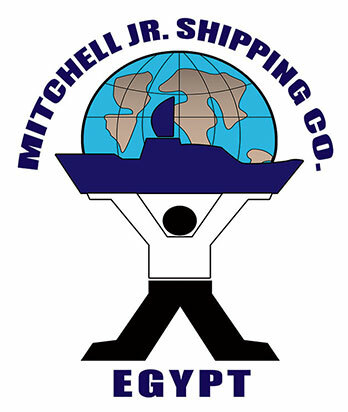 We offer a full range of services during ship's stay like connecting spares, garbage and sludge offloading, fresh water replenishment and bunker supply even if there is a shortage in the product through good relations petroleum physical suppliers, with very reasonable prices and avoid ships dealing with another services providers who may cause a kind of problems to ship's master or ship's crew. Our top management is ready any time to be involved to solve any problem around the clock through high level contacts with port authorities. Regarding ships transiting Suez Canal, A number of restrictions are in place for Canal transit. Mitchell JR can provide fully up to date information around the clock and can arrange to assist customers with any issues arising. We start communicating with the ship since we receive appointment to keep ship's master fully aware of Suez Canal Rules of Navigation and convenient time to arrive, avoiding any waste of time and money. We used to keep our clients fully updated with Suez Canal Circulars and any amendment in Suez Canal Rules of Navigation as well as any change in Suez Canal Tolls. We watch closely ship movements during the transit through day and night shifts to assist ships masters and offer help any time as well as avoiding any misunderstanding between ships and Suez Canal Officials to avoid any problems. We keep ships masters fully aware of Suez Canal requirements to avoid any delay in convoy timings through continuous contacts with them.